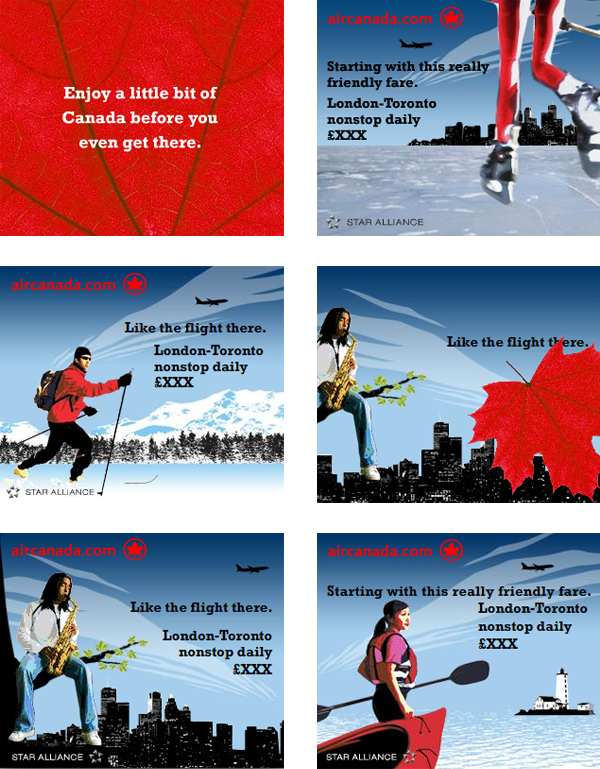 Aircanada.com international banner campaign. Art direction, Flash animation and web design. These banner campaigns were distributed internationally and translated in 8 different languages for a massive online promotion for flights to Canada. Art direction, Flash animation and web design. These banner creatives were distributed internationally and translated in 8 different languages for a massive online campaign promoting flights to Canada.